Sony has introduced Sony a7 III full-frame mirrorless camera (model ILCE-7M3).new α7 III, as it features a brand new 24.2MP back-illuminated Exmor R CMOS image sensor. The newly developed 24.2MPi back-illuminated Exmor R CMOS image sensor is paired with a front-end LSI that effectively doubles the readout speed of the image sensor, as well as an updated BIONZ X processing engine that boosts processing speed by approximately 1.8 times compared to the α7 II. These powerful components work together to allow the camera to shoot at faster speeds while also enabling its impressive ISO range of 100 - 51200 (expandable to ISO 50 – 204800 for still images) and an overall 1.5 stop (9) improvement in image quality. The camera also features a massive 15-stop (2) dynamic range at low sensitivity settings, ensuring outstanding overall performance at all settings and in all shooting conditions, with significant advancements in accurate color reproductions of skin tones and the vibrant colors of nature. 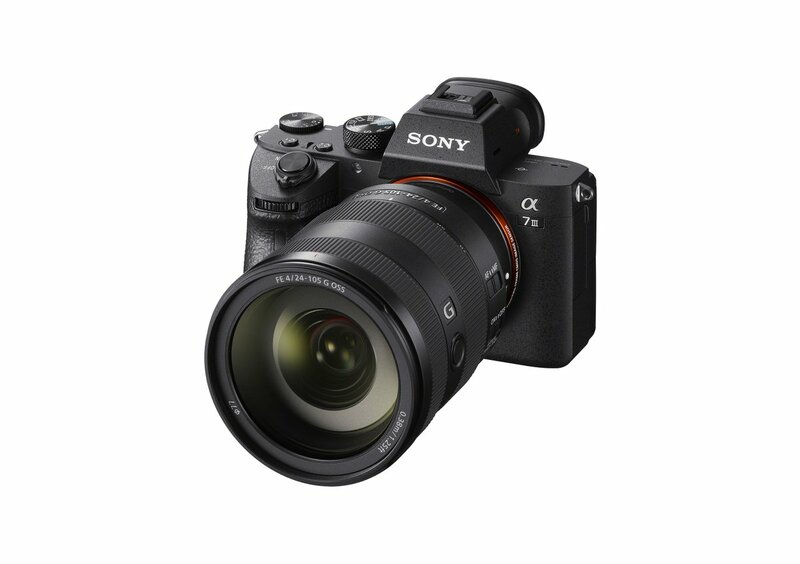 New Sony α7 III offers 4Kvi (3840x2160 pixels) video recording across the full width of the full-frame image sensor. In video mode, the camera uses full pixel readout without pixel binning to collect about 2.4x the amount of data required for 4K movies, and then oversamples it to produce high-quality 4K footage with exceptional detail and depth. It will cost $2,000 for the body alone when it goes on sale in the US this April or as a kit with an FE 28‑70 mm F3.5‑5.6 lens for $2,200.